Al, I love the way you find people’s deeper stories and bring them to light. Thanks for introducing me to Lurrie Bell. Very cool story, Al! You should approach Lurrie again about documenting his life. Sounds like a great story that could be an inspiration to a lot of people. Good one, Al. I haven’t thought about the ol Piano Man days for a long time, too. You brought back some great memories for me! Sunday evenings at the Piano Man-Listening to Lurrie playing lead guitar with his distinct soulful style and premier blues harmonica being belted out by Billy Branch when they were the original “Sons of Blues”! They had a chemistry together. I remember how disappointed the crowd was if Lurrie couldn’t make the gig! Seemed even the best fill-in guitarist couldn’t match the magic of Lurrie! I wonder if there are any recordings of that early SOB-band? If not then the blues-world is deprived of some great music! My God, thank you for introducing me to a wonderful blues singer. Aside from hip hop, blues is my favorite genre, but I don’t know where to start looking. I love Lurrie’s voice! Your story is beautifully written and brings good emotions to my heart, because for one, I love Chicago and hearing its tales never gets old. I am just in love with that city as I am with music. Then also, this reminded me of THE SOLOIST, the book (not the movie), about Nathaniel Anthony, the homeless man who kept playing music throughout his life. Keep writing, my man. So glad you are doing a blog now Al! I look forward to reading more. good story…didn’t know the Piano Man was your place..i remember it….what st. was it on? i was waitressing barefoot at the Kingston Mines on Lincoln in 1976 and saw some amazing blues folks, like when i stopped serving beer to watch Jimmy Reed perform…but don’t think i ever caught Lurrie.. The Piano Man was at 3801 N. Clark St.-One block North of Wrigley Field. It featured live Blues and jazz every night and matinees on weekends until it was sold in 1984! While it retains the name-I think it’s a sports-bar now. I worked with Al during his time at the Piano Man. He brought in some great talent from the Chicago scene. Many were just getting started on their way to notable careers. Al knew the Chicago music scene and had a knack for finding very talented groups who were underexposed or just beginning their blossoming rise. Some of you may remember Frank Lee who had a show on the old WXFM jazz radio-station. He nicknamed Al-“Al of the Universe” referring to his universal-eclectic talent and intellect and would speak oh him on the air as he knew Al well. AL is a man of many talents and I was privileged to have worked with him! Those of us who experience his talents are all privileged! Bravo Al! Glad to see your still sharing with us! Writing about music. A medium I think you share your soul with. This man surfaced because of the incredible memories you have in those 5 years, every singer, guitar player, trumpeter that passed through. I never heard of Lurrie till I read this. 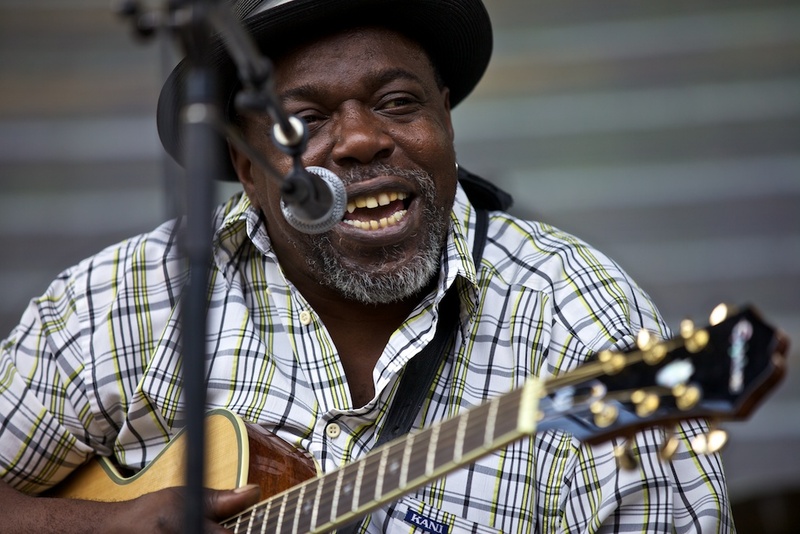 A blues man in an art form that connected not only with sounds and thoughts but of heritage. Sorry to hear of Jeanne’s passing. She always graced the stage when she performed-both with her voice and her elegance! I hope Al does a story on her! I recall that Al brought her in in to perform at the Piano Man in it’s inception. She packed the place and put it on the map as a serious blues & jazz club! She will be missed but always remembered! I just posted another blog https://abrasho.wordpress.com/ about the death of my friend Rick, who was the guitar player with the band with your mother. I also posted a photo of us.